The star of last year’s QAFL reserves grand final has left Morningside for his home town in Victoria. John Mitchell impressed in his handful of senior games last season and was dynamite in the seconds premiership decider with six goals. 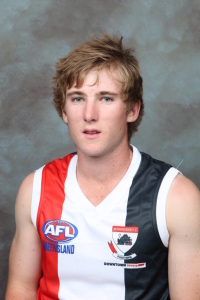 He looked to have a bright future ahead of him at Esplen Oval, but employment issues came into play. “We would have loved to have kept him, but he has gone home to Albury,” said Panthers club development manager Jack Barry. The Panthers are also giving some space to last year’s Joe Grant Medallist for best-on-ground in the grand final Ben Gibson. Also prominent for Queensland in his State debut against Tasmania last season, Gibson has been continually overlooked by AFL clubs and is considering his future. Clever goalsneak Matt Logan, who struggled through the first two-thirds of last season after a stellar 2008, is also contemplating how he spends his time in 2010. Clever wingman James Booth, one of the best players on the ground in the reserves grand final triumph, could be heading to Labrador. The Tigers already have five medicos on their team list and Booth will be studying medicine on the Gold Coast this year. Stalwarts Glenn Conroy and Rob Lucas have hung up their boots after guiding the youngsters around in the reserves last season. 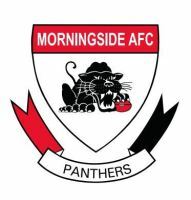 Conroy is a member of a select group of players to have managed 150 senior games for the Panthers, while Lucas was an outstanding servant of Zillmere before switching to Esplen Oval last year.